Many iPhone users are unable to take FaceTime option to take a Live Photo in iOS 12. The feature seems to missing from the iOS 12 as there is no option to take live photos after updating the iPhone to iOS 12. Quite possible that the Apple have removed this feature from iPhone to support group time feature and making it stable in initial release of iOS 12. But Apple should have made available for at least individual FaceTime calls. 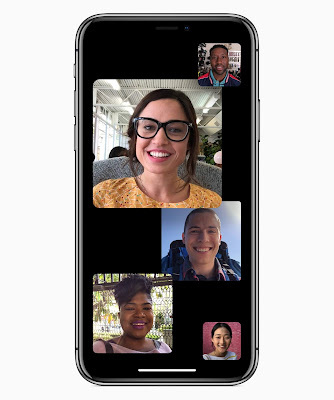 What looks good is that we may expect to come back in iOS 12 as actually the option was still in Facetime in beta releases settings but the disabled from Settings -> FaceTime. But the toggle was still in the FaceTime settings. FaceTime Live photo features is a Live Photos feature. Apple have removed live photo from iOS 12 and the other party can no longer take a live photo. This is really issue for users who are found of taking live photos of dear ones. Only Workaround seems to be possible at this moment is to take screenshots but it won’t provide the same quality as the live photos did. Also these are not love photos. Hopefully Apple soon release the feature again in FaceTime.